Mixlr for Android is currently in beta - for bug reports and general feedback please contact us. 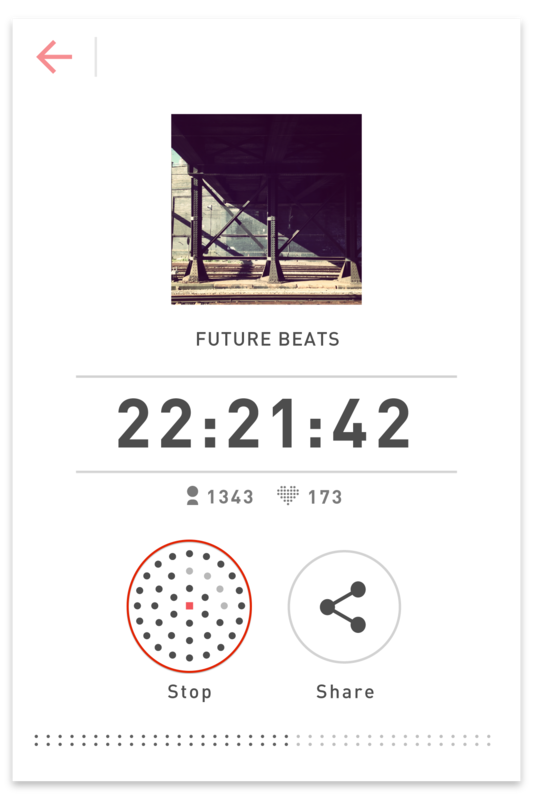 In this article we’ll show you how to go live with the Mixlr Android app. You can download our app directly from the Google Play Store here. If this is your first time using Mixlr, you'll need to create a new account. Tap the 'ME' icon in the bottom left corner of the screen and you'll have the option to create a new account, or to log in if you already have an account. TIP: If you create a new account you'll need to go to your email to activate the account before you can log in to the Android app. Once your account is created and activated you can use your Mixlr credentials or your Facebook account to login to the app. After you have logged in you'll see the Mixlr home screen again. Here you’ll find two options: Broadcast and Listen. 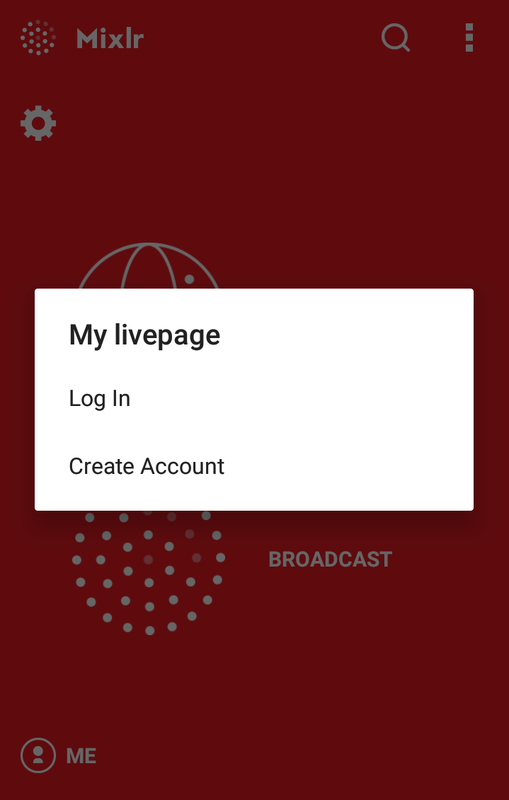 If you want to change your broadcast’s configurations before going live simply tap the settings icon located on the upper left corner of the screen. Broadcast quality: Normal or high. The biggest different between these 2 broadcasting modes lies in how much bandwidth each one consumes. If you’re planning on broadcasting from your built in microphone or have a limited internet connection, we’d recommend using the normal quality mode. High quality mode is better suited for non-voice broadcasts with strong internet connections. Title and Category: Select the category and title best suited for your broadcast. This will help you attract the right listeners. 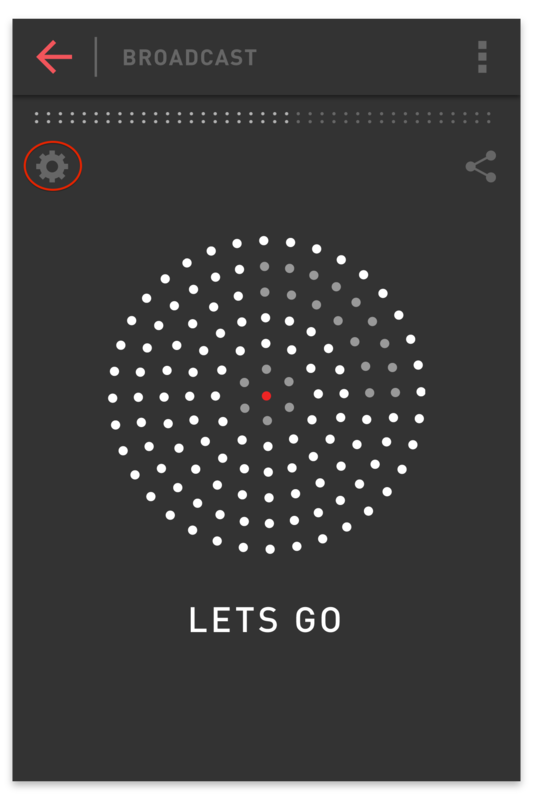 Recording mode:This broadcasting mode gives users the option to make the broadcast available on the showreel after its over. Please note that if this option is disabled, your broadcast will be permanently deleted as soon as it is finished. Test broadcast: Choose this option if you don’t wish to share your broadcast on Mixlr or any social network. This way your broadcast will still be public, but your followers won’t be notified and we won’t advertise it on our website. You are now ready to go live. Tap the big button and you’ll be broadcasting live to the world. When you’re ready to go off-air, tap the stop button located underneath your avatar. If you had the recording mode enabled, you’ll be asked whether you’d like to share it on your showreel so any listeners who missed the live show can still hear the recording.